Welcome to the Vegan-Nutritionista.com subscriber group! Our newsletter focuses on helping you learn more about veganism and how to apply it to your daily life. Vegan Bytes is dedicated to keeping you up-to-date with the world of food, answering your vegan nutrition questions, and providing you with ideas on ways to spread your lifestyle beliefs. 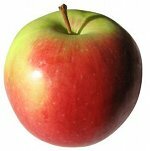 *Nutritional Spotlight: Is the Old School "Apple a day" Expression True? *Question: "Can my dogs eat a vegan diet?" *What's New? : What's New With Vegan Nutritionista? Do you know someone who would like this newsletter? More and more people read Vegan Bytes each month and part of that is thanks to you forwarding your friends my website. Thank you so much for your support. Since it's the start of a new year, many people are interested in getting back in shape and making this the year of health and happiness, so if you know someone who could use a little encouragement, send this along. If a friend forwarded this to you and you want more, visit the Vegan Bytes newsletter page to subscribe for free and we'll see you next month! We're on a mission to reach more people on facebook, so please come like us at facebook and share with your friends. You can see fun pictures of my travel adventures, favorite recipes, and links that I don't share on the website. If you haven't visited Vegan Nutritionista.com since you signed up for this newsletter, you might not have seen an awesome new feature we have. You can now comment on any page on the site! You can link it to your facebook account so your friends can see what you have to say, and help them to help themselves with a healthier, more compassionate lifestyle. Nutritional Spotlight: It's Apple Season! Last weekend we went to a local apple orchard and pumpkin farm to honor Christopher Columbus in a proper, traditional way. Apple picking season had just ended, but we were still able to pick up a few pecks of apples and we could roam through the pumpkin patch to pick several kinds of pumpkins, hubbard squash, and butternut squash. This farm even had dig-your-own peanuts and potatoes, which we city people found fascinating. Have you ever seen the inside of a raw peanut shell? The shell is lined with squishy, white stuff that eventually forms the skin over the actual nut. I find it really difficult to find local farms that grow completely organic apples, so we chose this particular farm because they use integrated pest management and therefore use minimal spray on their plants. IPM takes advantage of the positive benefits of certain bugs rather than wiping away everything that moves like the conventional pesticides. It's a more holistic way to farm and keeps your soil more fertile and plants more sustainable for the long run. If you have kids, one of the best things you can do to encourage them to eat healthy food is to take them to farms so they can see where food comes from. Our bodies thrive on food taken directly from the earth or picked off a tree, and when you witness (or take part in) that process, you feel accountability for the food itself. You're less likely to take a bite of an apple and then throw it out if you picked it yourself and know how much work it takes to get that apple. You're more likely to select things that are home grown than something grown in a box. And of course, we all know there are tons of amazing health benefits that you get from eating apples, such as lowered blood sugar, reduced risk of developing cancers, and lowered cholesterol levels. My second favorite holiday is Halloween (Fourth of July wins top honors), probably because I love costumes and makeup and scary movies and candy. I know, I know, I'm not a child anymore so I really should move on to a grown up holiday like Thanksgiving or President's Day or something. But I don't wanna! Halloween can be one of those daunting vegan holidays where you get anxious thinking about how to find the compassionate twist to the day, but I've come up with a few tricks to making it work for everyone. Click here to go to the page on Vegan Nutritionista dedicated to vegan Halloween celebrations. There's also a comments section at the bottom where I'd love to know how you celebrate as a vegan, including any Halloween recipes, your favorite decorations, cute vegan costume ideas, and any ideas on trading your kids for vegan candy at the end of the night. Please share your ideas to help new vegans come up with easy ways to make the holidays just as good as when they used to eat Milky Ways. We spent a few days before Christmas last year enjoying our free time and sampling most of the vegan food Asheville had to offer. It was a perfect mix of relaxing and eating for us. An absolute stand-out that we couldn't eat at just once was Plant. It actually ranks among my top five favorite vegan restaurants of all time, and tops our personal category for best mid-range vegan restaurant. Everything we had was stunning, both aesthetically and for our taste buds. It's a perfect restaurant to review for this month's newsletter because in another article I talk about eating shiitake mushroom bacon (can you figure out which article?) and that delicious "bacon" came from Plant. Read my full review of Plant Restaurant in Asheville, North Carolina here. "Can my dogs eat a vegan diet?" "Question: I have been researching a vegan dog food and wonder if you think it is healthy. I am vegan and it bothers me each time I put money toward the purchase of dog food. I posted a comment about turning my dog into a vegan dog on the Youtube site where Earthlings was shown, and surprisingly got the response that it would abuse to my dog to make her be a vegan dog. I do not want to cause harm to my dog's health but am really interested in knowing more about having a vegan diet for my dog.?" Learn the answer to whether it's safe and healthy to feed your dogs vegan food here. If you have any vegan questions and you want some guidance, feel free to send them in by following this link. 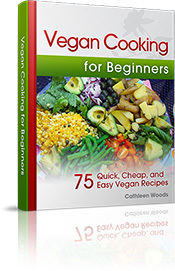 Vegan Cooking for Beginners is designed for new cooks and vegans who want quick, cheap, and easy vegan recipes. It has 75 recipes, tons of pictures of the finished meals, nutritional information, and detailed instructions to make every recipe easy to follow. Read more and download a copy for only $7.99 here. 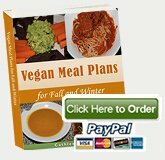 Vegan Meal Plans is a complete meal plan for one month vegan weekday dinners. It includes 64 recipes, pictures, nutritional information, grocery lists, and tips and techniques. 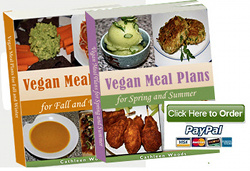 Everyone from those beginning a vegan diet to those veterans who want fresh menu ideas love this ebook. 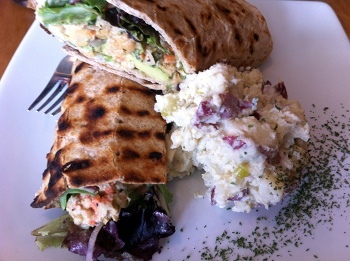 It focuses on fresh, local, and seasonal vegetables and uses all normal ingredients-- no fussy or gourmet skills needed. Download a copy for only $9.75 here. This is one of our most popular cookbooks. I've found it really difficult to find a vegan bread cookbook on the internet; there are tons of recipes out there, but they're scattered all over different sites and you never know which ones are good. This book has everything from an eggless brioche to a classic whole wheat boule recipe, so you'll never have to go scrounging the internet again. I'm so happy people have gotten so much out of this ebook. Learn more about the bread baking tip that's almost too easy here or download your copy for only $7.95 now. Get iPad/Kindle/Kobo/Reader Formatted Vegan Bread Recipes for only $7.99! To buy The Vegan Bread Box on Amazon, click here. Just the Menus Ebook Package allows you to have both Vegan Nutritionista meal plans, one for the fall/winter and one for the spring/summer at a discounted rate. Download your copy for only $16.99 here. 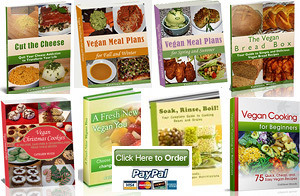 Menus and Cookbooks Ebook Package allows you to have Vegan Cooking for Beginners, both Vegan Nutritionista Meal Plans, The Vegan Bread Box, Vegan Christmas Cookies, and Cut the Cheese. Download your copy for only $41.99 here. This massive, complete vegan grocery list is the only one you'll ever need. Print out copies of it to hang on your fridge, and then mark what you need as you go throughout the week. Download a copy for only $0.99. 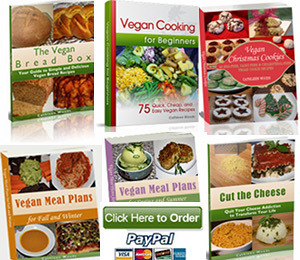 Get Vegan Cooking for Beginners, Cut the Cheese, The Vegan Bread Box, A Fresh New Vegan You, both Vegan Meal Plans and Vegan Meal Plans for Spring, Vegan Christmas Cookies AND a free copy of the massive Vegan Grocery List for only $63.99. Save BIG on this package! Download this package here. *Note: this does not include a separate file for Soak, Rinse, Boil! because you get it within A Fresh New Vegan You. One of the many vegan recipes we made for our weekend trip to the mountains was this one for raw flax crackers. I'm a big fan of the boxed versions, but I didn't have time to get to the grocery store and was curious if I could make my own that would taste just as good. Second of all, I can absolutely, definitely make them taste just as good, and it was easier than I ever expected. And lastly, it's fun to make your own because you can experiment with flavors and textures and find what works perfectly for you. I have visions of flavors like maple cinnamon, nacho cheese, garlicky kale crackers, and much more. If you don't have a dehydrator, you can still play along. In the article I teach how to use your oven to accomplish the same thing. 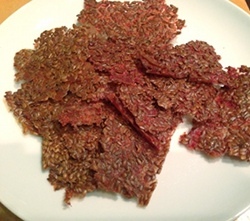 Read all about my flax crackers recipe and feel free to comment at the bottom of the page. I'd love to know your favorite raw cracker flavors and any other tricks to making them taste fantastic. You can share your own recipes and comment on others by following this link to Vegan Nutritionista. A few weeks ago the Atlanta Falcons were playing on Monday Night Football and one of the announcers was discussing why their tight end, Tony Gonzalez, is still so good at a relatively older age (for the NFL). He said that it's because of Tony's lifestyle and his "outstanding diet." My husband gave me a high-five and we continued watching the game. What I didn't think about at the time is the number of people who would google, "tony gonzalez diet" to figure out what he actually eats, perhaps because they would like to look and perform like arguably the best tight end in the history of the league. The next day I saw just how many people found this page on Vegan Nutritionista and how many went ahead and bought the two books I reference in the article, The China Study, and Tony's own book, The All-Pro Diet. I take so much joy in thinking of the thousands of NFL fans who might have been encouraged to get off the couch and the meat/dairy and start eating a plant-based diet, solely because an announcer brought Tony's diet to their attention. Recently Jon Gruden mentioned that Arian Foster (running back) is a vegan. Too bad Arian doesn't have a book yet to help advance the cause. If you have a football fan in your family or group of friends, tell them all about Tony Gonzalez's outstanding diet and maybe together we can bring even more people to a more compassionate lifestyle. Vegan Nutritionista is constantly growing and changing, and if you signed up for this newsletter a long time ago, you might not have read our new information. Our blog page keeps you up-to-date with new articles on the site. We're in the process of updating the design of our website. I sometimes had a hard time fitting everything I wanted to say into the two columns we used to use, so now we have three columns. And, we'll be transitioning over to a really pretty color scheme. Nothing changes for you; all the content is exactly the same. I hope you like it! Thank you to our newsletter sponsors! Vegan Essentials is one of my very favorite places to shop for vegan supplies. They have everything from clothes and shoes to vegan cheese, and their prices are the best around. Amazon has really grown on me over the past decade or so. It no longer is just a resource for finding books, but now sells almost everything. 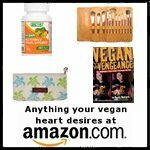 Over the past few years, I've found more and more vegan-friendly supplies on amazon, including books, shoes, clothes, soymilk makers, soybeans, and so much more. VitaMix is hands down the best blender on the market. I recommend it to anyone and everyone, and it's absolutely amazing... no exaggeration. In fact, the other day, I found myself taking a complete stranger to a section of a cooking store to show her the VitaMix and explain its benefits, just for pure fun! You can make soups, ice cream, smoothies, whole fruit/vegetable juices, grind grains, make nut butters, grind ice, and so much more. I can remember life before the VitaMix and how frustrating it was to never get the exact consistency I wanted in my smoothies because the ice just wouldn't break up, and now I never give it a second thought. Highly recommended! If you're a vegan nutritionista yourself and have always thought about running a blog with your vegan recipes, you should think about an SBI website. I would never have known how to start a website, let alone get Vegan Nutritionista to the successful place it is right now without Site Build It, and I can't recommend it enough. If you are passionate about anything, any hobby, lifestyle, food, drink, or culture, you can start a website about it. All you have to do is love it, research it, and learn to "talk" about it and SBI will guide you to making it financially successful. I am an affiliate for these newsletter sponsors, so anytime someone buys something from these stores after using a link from our site, I make a small commission on it. But, I do promise that I would never recommend something that I don't use and love myself. So if you see a link on our site for something you like, you can support their company and the running of Vegan Nutritionista as well, or you can always choose to go directly to the company. And don't forget, a percentage of all Vegan Nutritionista profits go to a rotating group of charities that benefit animals. 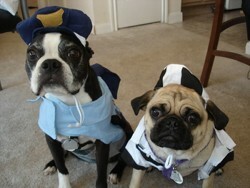 This quarter we're giving money to the Louisiana ASPCA to help with animal victims of Hurricane Isaac. That's all for this month!! I hope you enjoyed reading it. Have a great month!